Santa Ralph, the Maker of Merriment will bring the “Spirit and Heart of Christmas Season” alive for all whom he visits. 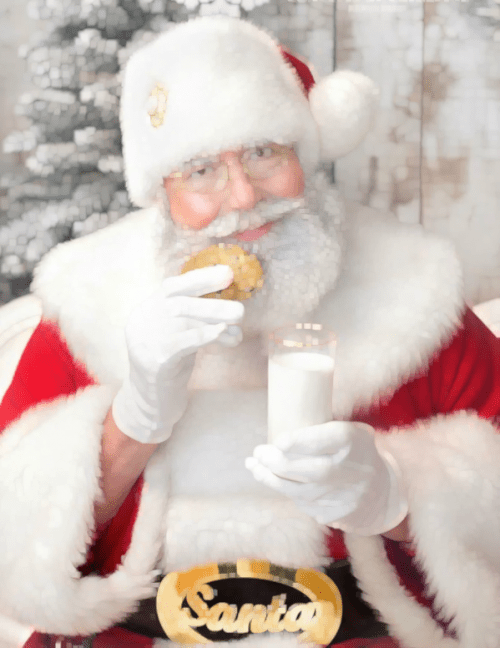 Home visits, photos with Santa, Christmas Tree lightnings, Holiday Parades, Open houses, Business/Corporate events, and Christmas in July gatherings are the festive times that we can share together. From the moment of his arrival there will be festive songs, the reading of Christmas stories, photos with the children and their families and the sound of jingle bells. When you hire Santa Ralph Noon, a real bearded Santa, you can expect to receive the services of a professional Santa Claus. From his tailored Santa Claus suit to his handmade leather boots you will know that the “true” Santa Claus is in your home or at your event.